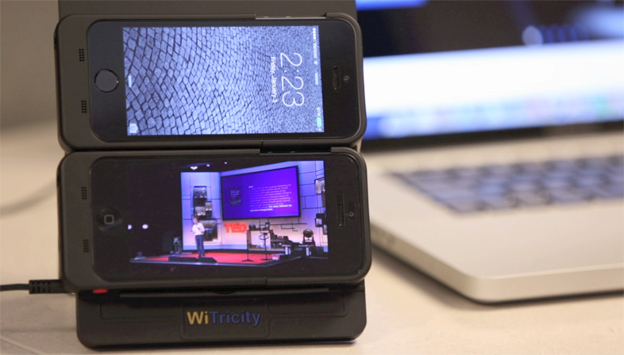 However, at CES the company did introduce a wireless charging pad and case for the iPhone(s aapl) 5 and 5s. It’s really a reference design says Giler, however WiTricity does plan to sell the pad for around $99 in the coming months, with the case likely priced at $49. I’m hoping to test one for myself as the product gets closer to launch. Intel(s intc) is an A4WP member and was involved in a $25 million Series E funding round for WiTricity back in October. Where Intel goes, Giler suggested, others will follow. 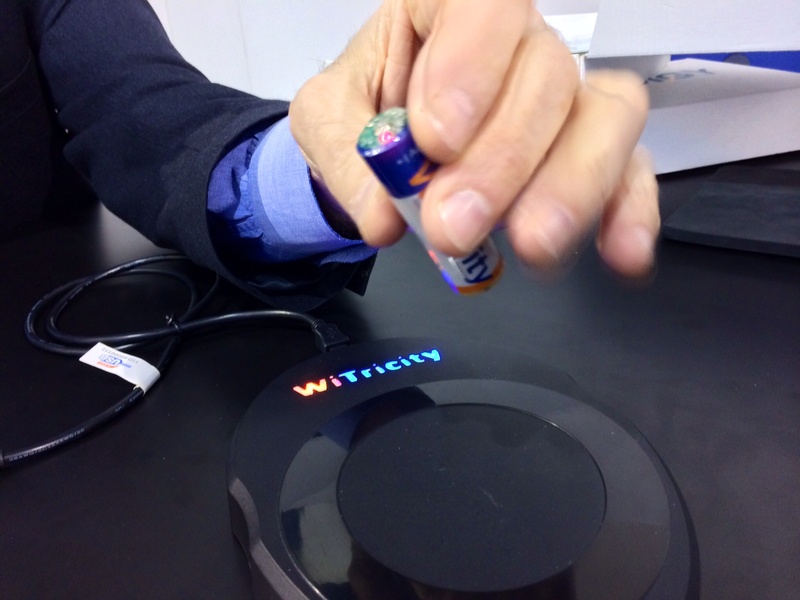 Intel is also using WiTricity’s technology for a wireless charging bowl it demonstrated at CES: Just drop your wearables in the bowl and they start charging. Giler also told me that WiTricity’s new iPhone charging pad could be A4WP compliant with a firmware upgrade so the company is clearly prepared for meeting the standard if it chooses. Once standards are set, you may be able to just be in your home or at least a room to charge things.